National Interagency Fire Center - FTS Inc.
Based in Boise, Idaho, the National Interagency Fire Center (NIFC) is the logistical and support center for U.S. wildland firefighting that coordinates state and federal efforts for fire response and prevention. Acting as a coordinator for 8 different fire weather agencies, the territory covered by NIFC effectively includes all of the United States. In the eastern half of the country, the terrain is comprised of coastal plains on the Atlantic Coast with deciduous forest cover. In the south, tropical and broadleaf forests are predominant. In the midwest, vast plains and grasslands stretch as far as the eye can see. 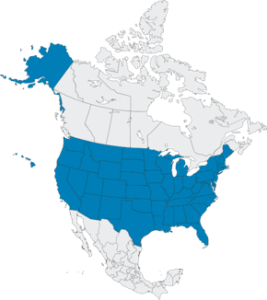 Further west, the Rocky Mountain range gives way to the Great Basin region, and the Sierra Nevada and the Cascade mountain ranges run the length of the west coast. Here, the climate is Mediterranean and oceanic, and forest cover is common in these regions. The U.S. includes most climate types, such as the frozen Alaskan north, the arid plains and prairies, and tropical zones in the Hawaiian islands and the Florida keys. The dry plains and forested areas are often prone to wildfires, both of natural and human causes, in the summer. NIFC has serviced FTS equipment since 1995, and replaced their RAWS cache entirely with FTS portable RAWS in 2010. Approximately 2,500 RAWS located all throughout the U.S. feed data into NIFC’s systems. 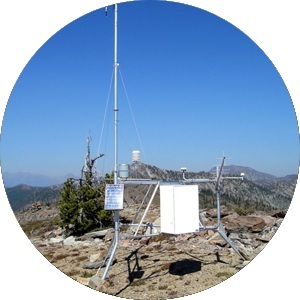 Since 1995, NIFC has been servicing FTS equipment for all U.S. fire weather agencies. In 2010, NIFC completely replaced a cache of portable fire RAWS with 50 FTS portable RAWS stations.